Each Monday during the weeks leading up to Christmas, I'll be holding a giveaway of a new or favorite book I have discovered. Pop back in each week to enter. This week's featured book is a new one published by Ryland Peters and Small. A few weeks ago, I wrote about some of my favorite decorating books here. 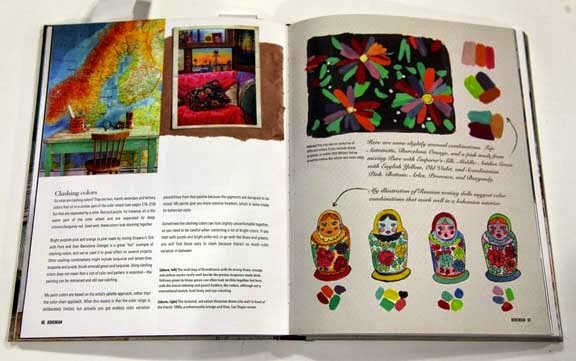 One of my favorite oldies is called Color in Decoration and was written by Annie Sloan. 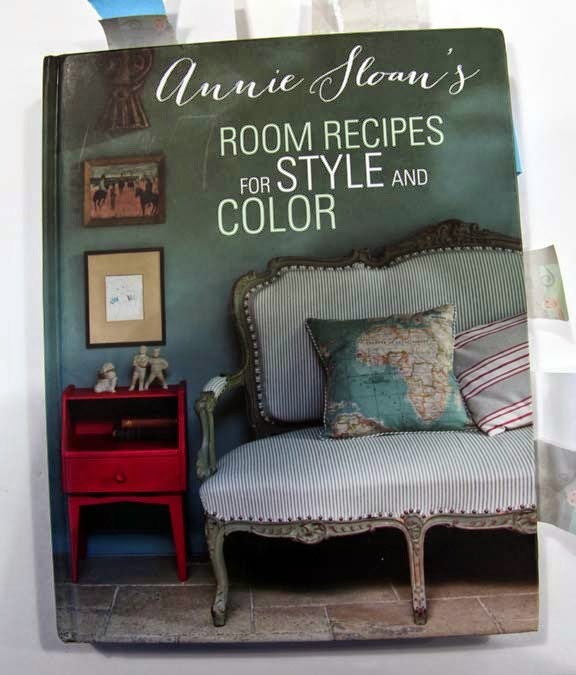 Lo and behold, Annie has just released a new book she co-wrote with her son Felix called Annie Sloan's Room Recipes for Style and Color. Ryland Peters and Small graciously sent me a review copy to share with all of you. This huge 228 page book begins with a general introduction to Annie and Felix's views on decorating and design. Throughout the book, there are small hand drawn illustrations scattered amongst the layouts that add a charming handmade feeling to the book. 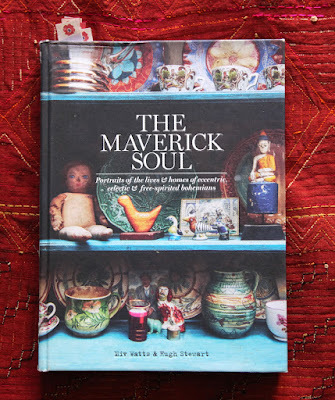 Each chapter introduces the style with 8 pages of photographs, history, design elements, colors, and furniture all profusely illustrated with lovely photos by Christopher Drake. 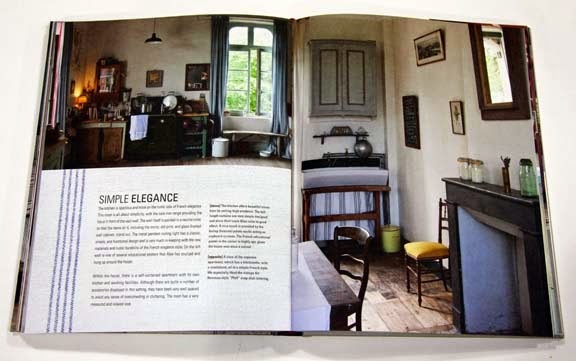 Following the introduction, Annie and Felix introduce a home that uses the given style in beautiful photos. They explain why the home works in both words and photos. 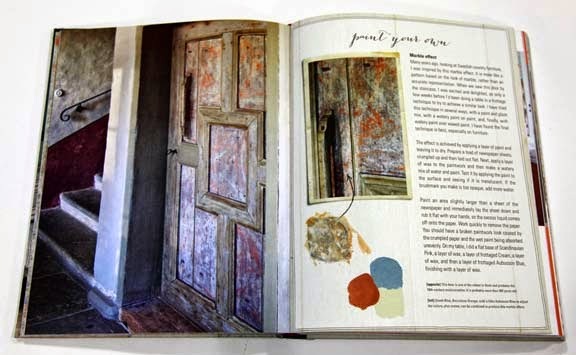 At the conclusion of each chapter, there is a "how-to" of a paint treatment which is shown in the home. 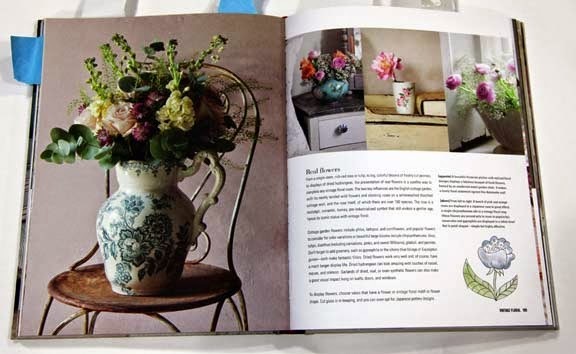 Annie Sloan is known for her paint treatments, her Chalk Paint Line and her many How-To books that she has published over the years. This is not a How-To book but a style book and a nice addition to her growing collection of titles. Here is one of the paint treatments that I would love to try - it is called Marble Effect and is shown in the Traditional Swedish Chapter. This paint effect is quite dramatic - a kind of streaky, variegated look to the walls. I learned a lot reading this book. It is beautifully produced with color photos printed on matte finished paper. Of course, I was attracted to certain chapters more than others but that is the point of it. You will probably read it and like other chapters. 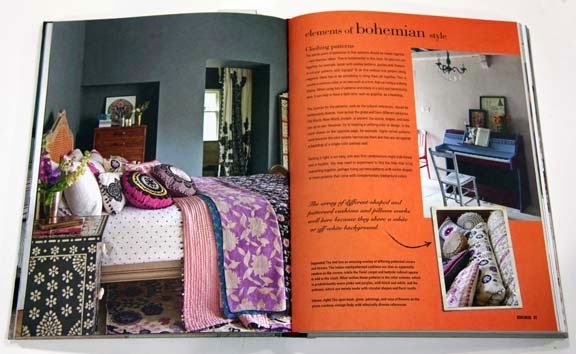 Here is a pretty spread for the Bohemian Chapter. 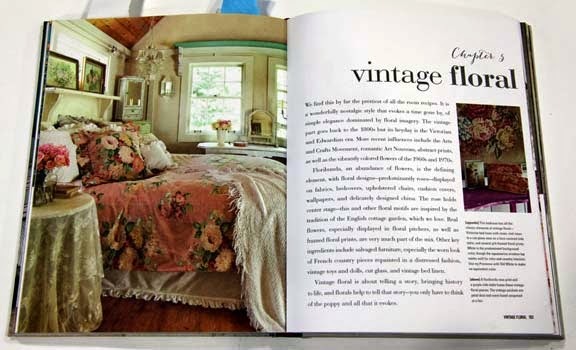 Although my home is not decorated in the Vintage Floral fashion, I was drawn to many of the photos in this chapter. It featured many handmade items and gave me some ideas for future projects. Here is the DIY project from the Vintage Floral Chapter - a lovely handpainted floral chest of drawers. I do see the allure to the Rustic Country Chapter. I wish I could be so understated and simple but clutter and collecting seem to be more me. I wish I could share more pages from this book as it is really beautiful and inspirational. At least I have introduced you all to it. 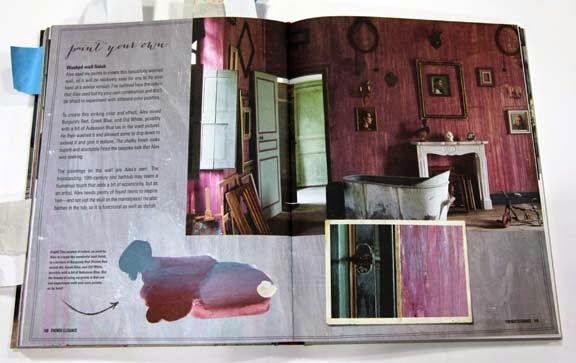 This book would make a lovely Christmas gift for someone interested in interior decoration, paint and color. In the following short video you can see Annie and her son Felix chatting about this new book project. What would you say is your favorite decorating style? Country, Rustic, Bohemian, Urban, Mid-Century Modern, Flea Market Style.......? Contest ends Saturday December 6th at 11:59 p.m. This book looks wonderful! Thanks to you and the publisher for a chance to win. I would say my style is farmhouse style. I'm kuntzknit on Ravelry. Is French farmhouse a style? I hope so. Lovely book. Thanks for the giveaway. I would love to say that I fit the Rustic Country but I am not so spare. I usually identify my style as "Early Attic" because it is an eclectic collection, many handed down. I'm Kayteau almost everywhere, including Ravelry. Hmmm, well, I have to say, my style is eclectic (fancy for mish-mash) and not so much by choice but by happenstance! LOL But I'm slowly trying to move toward kind of what I think you'd call French Country for my tiny 746 sq foot home. So maybe my style is French Country Cozy! My favorite decorating style is Modern Craftsman. 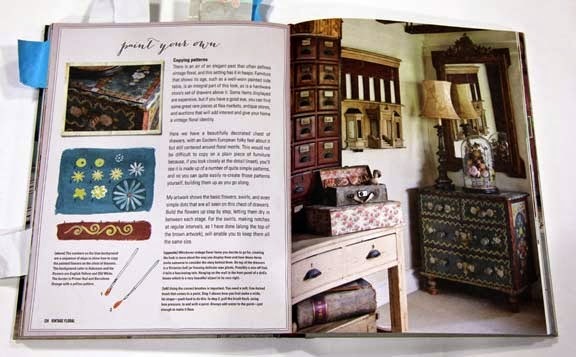 I just discovered Annie Sloan paint and would love this book for project ideas. A mix of more than one and leaning heavily in a traditional style. I love Chalk Paint. I'm Nell47 on Ravelry. Thanks for the great review of this book! I'm sans-decoration myself - bare walls, plain wood (I mean, unpainted), but it's fun to think about what I *might* like. I'd definitely be a Modern style, meaning open and spare, but I like to have wood around, not metal. Easty-to-Clean Country? My style is eclectic, but I have to say that I love COLOR. I also do not like "matched" sets of furniture, and I like to hang picture groups that are not centered, but instead are what I call balanced. I took a class on using Annie's chalk paint last year, and I do like the paint very much. So far I've only painted one bookcase. I was planning to paint a wooden bed, but my son finished college and came home to use the bed while he looks for a fulltime job! Ah, my style, repurposed, casual, comfortable, hand crafted (when possible) and much of the time the pieces in my home have a story. My finds come from tag sales, flea markets, consignment shops, friends and even a few were curb side ( a framed Christmas cross stitch-with broken glass, found curb side in Paris). I rotate my "art" to keep it fresh and new to me. 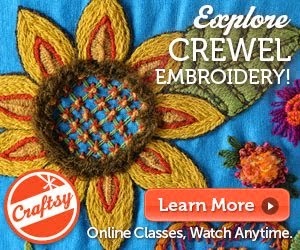 I love textiles and will re-do a loved linen table cloth into a pillow case or napkin, take apart a framed needlepoint and transform it into a pillow or finish a quilt top picked up from a tag sale. Beautiful book...thank you for sharing! Hard to pick one style. I think I'd have to go with eclectic farmhouse! This looks like a beautiful book! I'd say my style was Modern Traditional, if that makes any sense, and I love painted furniture! Thank you for offering another book! I love your current 'opening' photo of the green room and the red leaves and books. My decorating (at one time 'early matromony with castoffs) I've collected things I love from lots of places and somehow I work them into 'scenes' or 'clusters' in different rooms. I have enough to 'rotate the stock' seasonally. So rustic, bohemian, crafty. Somewhere in there. Mainly comfortable. :) helen(dot)mathey(hyphen)horn(at)pac(dot)dodea(dot)edu. What a beautiful book! Another one to add to my wish list (unless I win one!) My favorite decorating style is timeless, classic, colorful and cozy. Comfortable chairs, with a table everywhere you'd want to put a drink, lots of books, but not a lot of clutter. Warm colors and quiet patterns. By default my favorite decorating style is Multiple Bookcases. I've been trying to think how to get more of them into the house. I also like old-fashioned florals. You have my email. Thanks for the 'not-so-sneak' peek at this beautiful book. I'm glad to say it is available (post free!) in UK via Amazon.co.uk for £17.00 - wonder if it will fit in my Christmas Stocking? My favourite style is Country cottage - I live in a 120 yr old cottage in the Welsh hills. I love country primitive!!! It just speaks to me!!! I'd love to have the chance to see this beautiful book. I'd say my style is eclectic but with lots of MCM influence. I'm CalleArcilla on Ravelry. I'd say I'm country french. Warm, eclectic and comfortable. This book is definitely my kind of book. My style is very similar to yours, Kristin. I live in a 19th century house, love bright colors on the walls, mix 19th century folk art and American painted furniture, kilims, and funky flea market bits. I guess my style is florida beach, flea Market estate sale grab bag. I sure could use something to pull it all togather. I love every style but Modern. My favorite decorating style right now is Flea Market. Repurposing/salvaging has such a great appeal to me. My style? Maybe a combination of country, rustic, flea market -- whatever is comfortable. Somehow it all fits together for me. A blend of country and flea market, with a bit of bohemian tossed in for spice. I love your style! We are in a new house, have very little furniture, and I could really use some pointers! 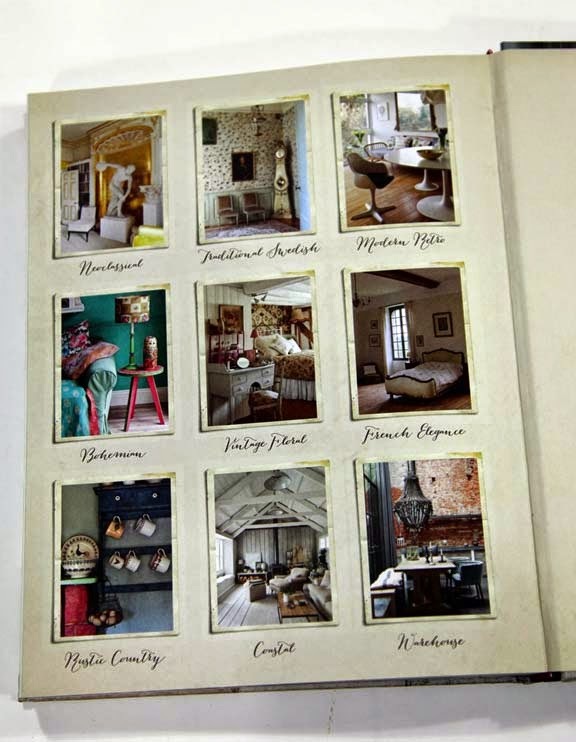 My favorite decorating style is Country French and I love Jacobean textiles, too. My email address is frenchmeetups@gmail.com. Thank you for the giveaway! I want to change my style to a cleaner, more paired down look without being uncomfortable or cold. I just turned 50 and am embarking on finding me! This book looks like a great resource for both inspiration and execution. Just what I need since I am not a natural decorator. Um, my house style is, um, urban, comfortable, lived in. HelzHart@aol.com. Louis XV is my favorite. This is a great giveaway! Thanks for the opportunity. My style would be Bohemian in a mid century home...but with little clutter. Just a few crystals on a side table and one beautiful seashell. A pile of books that I'm currently reading on the floor next to a modern loveseat.. An arrangement of flowers and ferns from my backyard on my wooden dining table. As much as I love visiting rooms with collections and knick knacks, my own rooms tend to be on the sparse side. Thanks again! This book looks very interesting! What a wonderful give away. Thanks for the opportunity. I love Annie Sloan paints and have used them to paint old furniture that my neighbor put out for the trash man. It turned out so nice! I'm drawn to English and Swedish styles but I also love Pottery Barn where everything is clean and has white slipcovers that I don't have, haha. I hook rugs so my style is probably more like yours sorta primitive with color and country here and there and a oriental rug in the mix with swedish undertones. I'm not sure what the label would be maybe swedish country or at least that's what I want to be one day!! Thanks Kristen I love your blog!! Great giveaway! I love French country with a bit of western chic. I would have to say my house is a mix of Southwest with lots of colors I like to call Mexican Fiesta. The book looks fabulous. And by the way, today I will be making you Moroccan lamd stew. I definitely love what I call Simple Coastal, the clean lines of simple, minimalist furniture with the calm colors of the beach and ocean. This book looks great! My current style is hand-me-down, but I'm starting to look around & am thinking of slowly redecorating. I seem to be drawn to a combination of French elegance, coastal & rustic country. Not sure if those go together or not. Hmmm. Kristin, your (publishers')give-aways are wonderful! As a bibliophile farm widow living in a small wood heated cottage my style is "trying to keep it tidy"! I have no unused wall space and my furnishings run from "early marriage", "free", "thrift store" to "hand-me-downs" and "do-it-yourself". 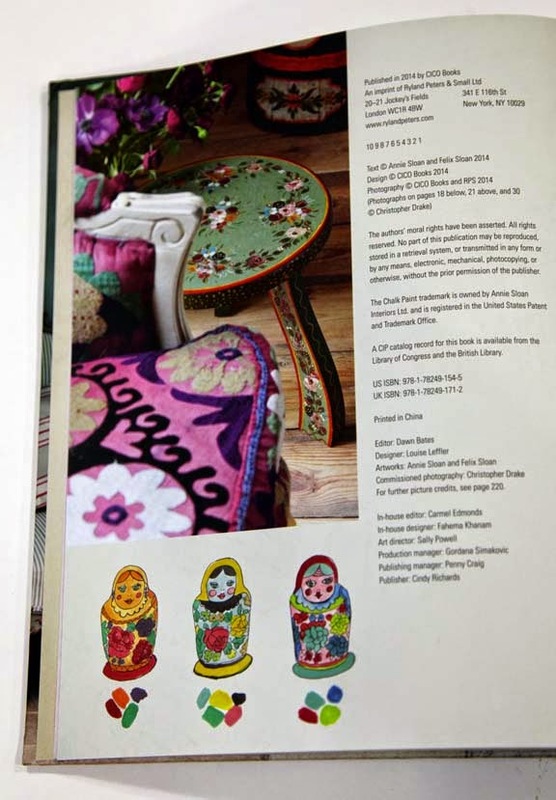 perusing decorating books and magazines - and dreaming. What would I say is my favorite decorating style? Shabby Rainbow Fleamarket! Lots of colors with function most important. Lots of casters for easy rearrangement for various projects. Love your blog and your style, Kristin. A beautiful book! Thank you for sharing. My decorating style is definitely Bohemian. Have collected pieces while living in both Africa and Indonesia. I am knitanyfan on Ravelry. That book looks wonderful!!! What would you say is your favorite decorating style? I would say Mixed Art/Craft/Bohemian. Thanks Kristin for this lovely book giveaway! I am not married to any one style, I am more eclectic. I do love modern, and mid-century styles, with a piece here and there of antiques. I would say perhaps my favorite style is mostly Vintage Floral with some Bohemian thrown in. I love flowers and color. Right now I am struggling a bit with how our house looks...I long for a bit more simplicity than our farm house full of kids, school work and farm mud offers...I am sure this book would lend some direction and inspiration. Thanks for this give away chance. Love your blog - thanks for sharing. I like a mix of cottage, vintage and contemporary -- like a house has been furnished over time versus all at once. Probably a combination of a bunch of styles: farmhouse, country, flea market, and shabby chic. We are redecorating right now-- know what I'm saying!? LOL!! This looks like a wonderful book-thanks for bring it to our attention. Favorite style I would like rustic but at the moment it's cluttered. I love Annie Sloan. Looks like a great book! I would say my style has the New England feel with a modern twist!